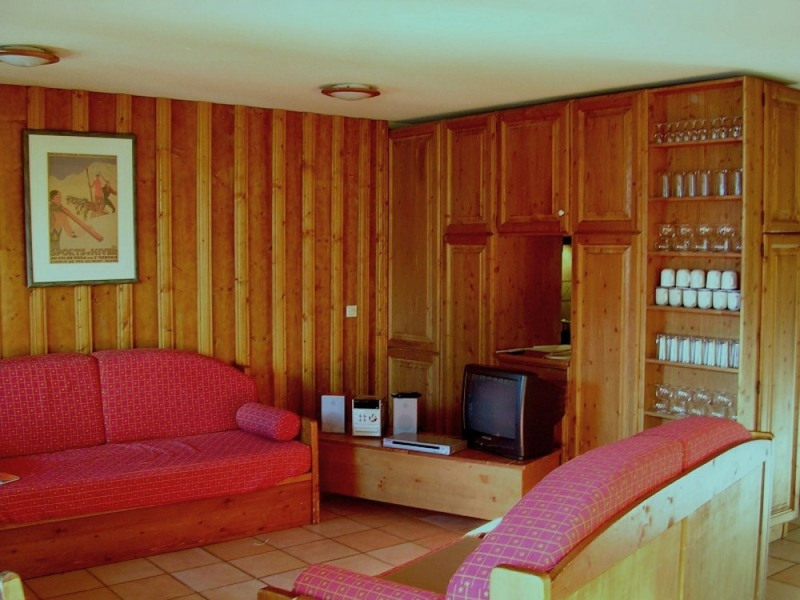 Chalet Bruyere is a large Chalet-Style Apartment located right by the Blue piste that joins Belle Plagne and Plagne Bellecote. 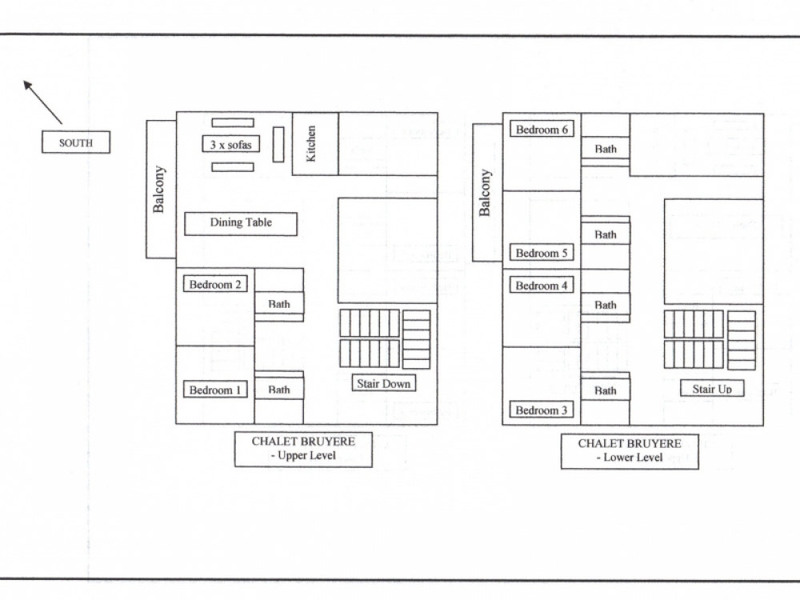 Access to the piste is directly from the ski/ snowboard storage room, and access to and from the Chalet is possible throughout the season due to the high elevation of 2050m. 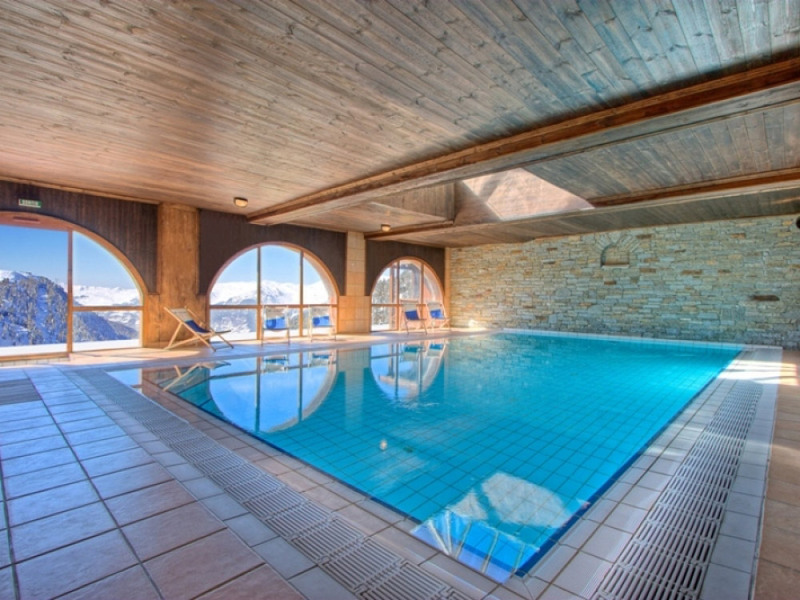 Centrally located for easy access to the huge Paradiski Area - the linked resorts of La Plagne and Les Arcs (425kms of pistes, 2x Glaciers). 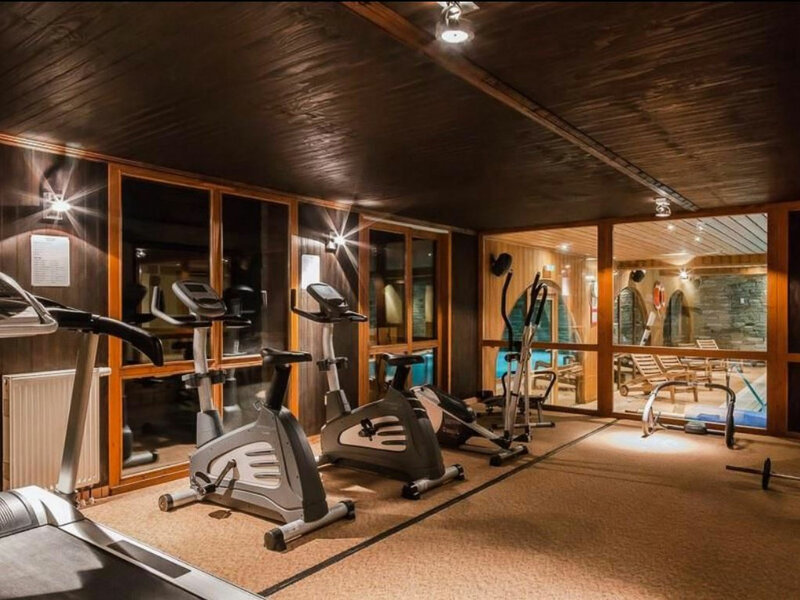 Chalet Bruyere is located in a development that uses the traditional Savoyard style of construction with stone and timber. 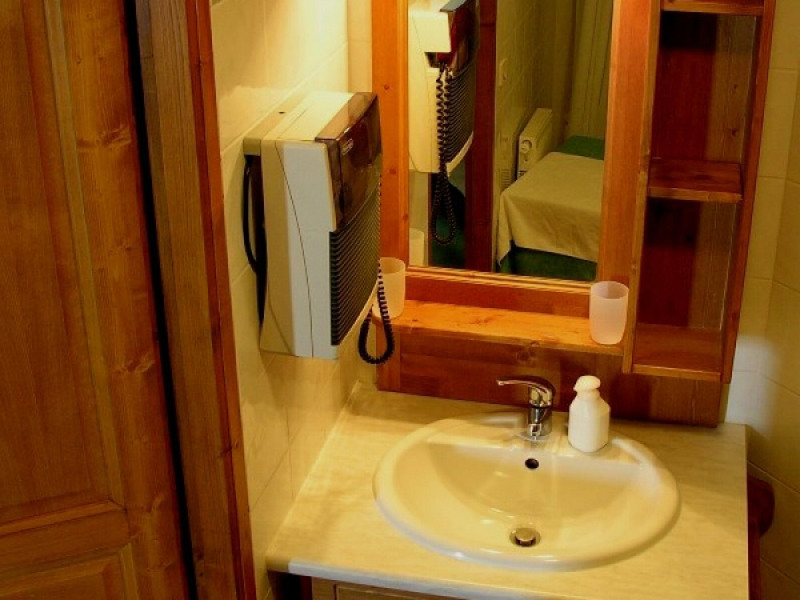 All rooms are well-appointed with traditional plaster and wood panelling on the walls and tiled floors in the public areas. The bedrooms and bathrooms are fitted with pine furniture - including unique stencilling detail. 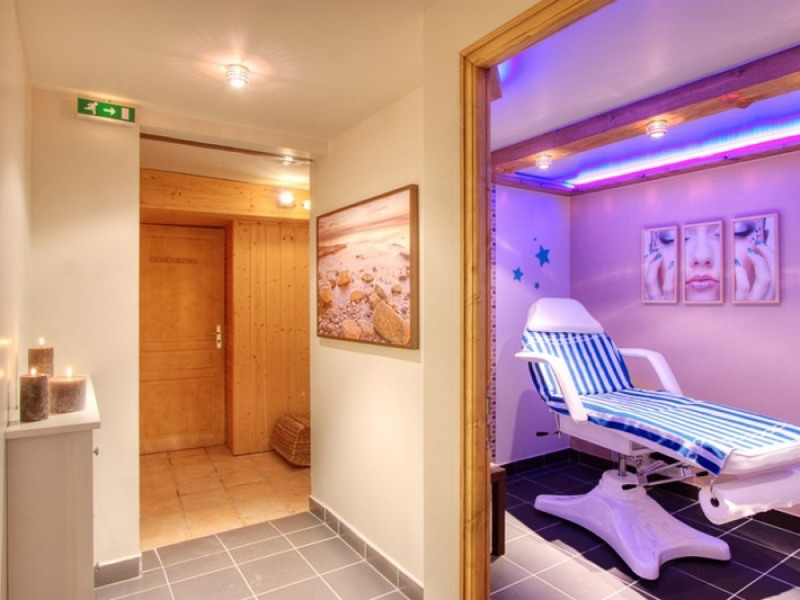 - All services: electricity, heating, hot and cold water. 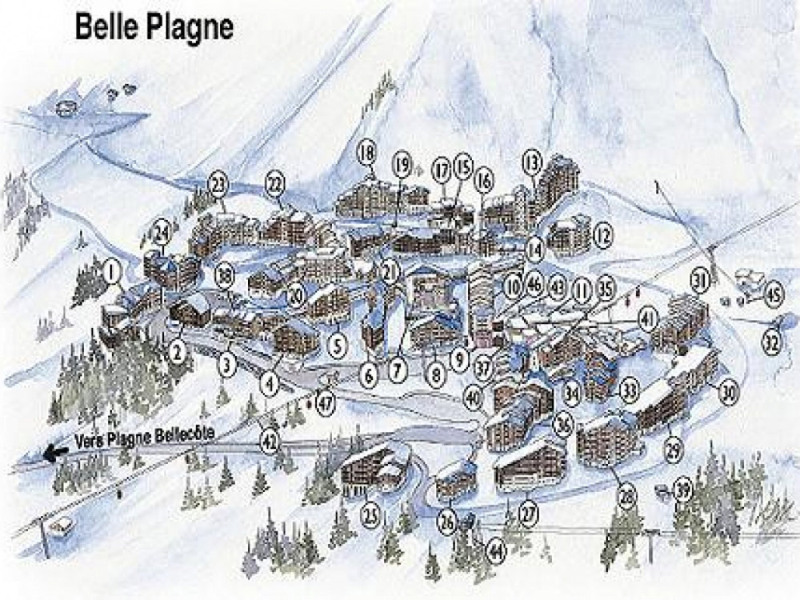 Ski in - ski out @ 2050m elevation at Belle Plagne, the highest village in La Plagne, and one of the highest in the Alps, and centrally located for the whole Paradiski area. Only 250metres walk to the centre of the village and ski school meeting points. 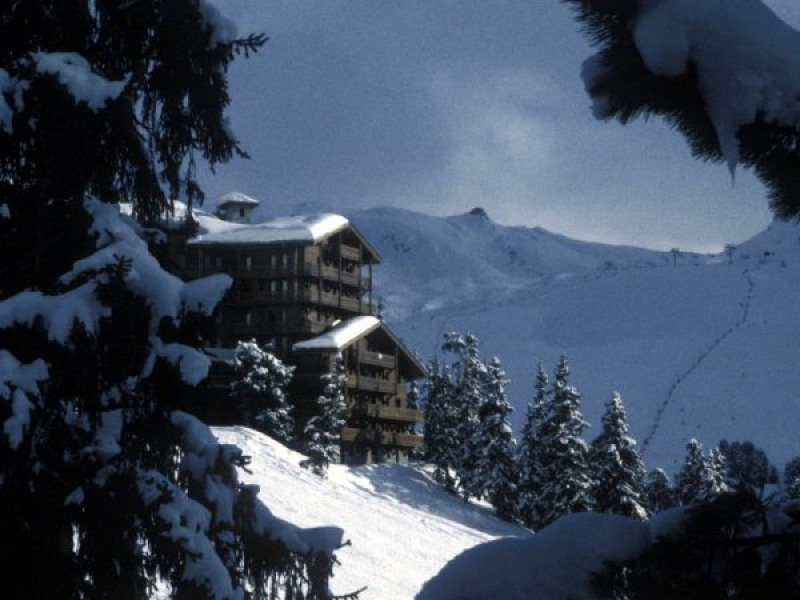 Bookings welcome from groups up to 14 wishing to take the whole Chalet. 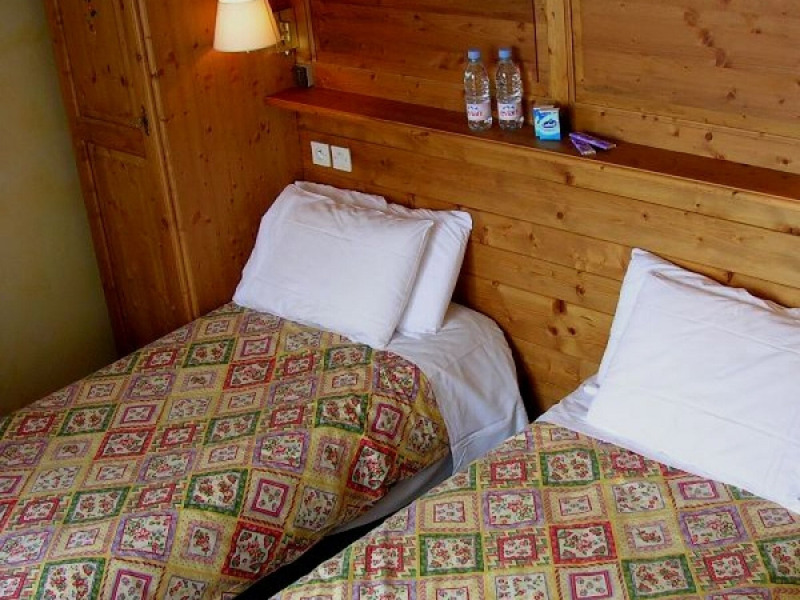 There is the possibility of 2x Sofa Beds to fill the chalet to 14 persons (infants in cots can be added to this number). Entrance Hallway. Open Plan Lounge/ Dining / Kitchen area: 3 Large Sofas seating up to 12 adults. Log Fire. 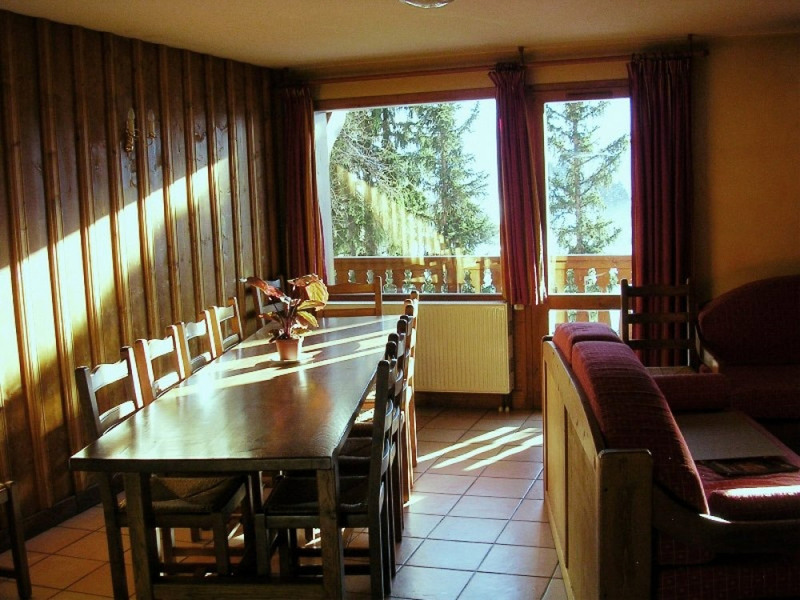 Access to Balcony with views of pistes. Dining area. Kitchen. Bedroom 1&2: Twins with En-suite bathrooms and showers over. Stairs to lower floor and 4 remaining bedrooms. Bedroom 3&4: Twins with En-suite bathrooms and showers over. Bedroom 5&6: Twins with En-suite bathrooms and showers over. Access to balcony.